EvC Forum: The implications of quantum physics. The implications of quantum physics. Author Topic: The implications of quantum physics. As a newcomer physicist to this forum I was rather disappointed to find the thread entitled What does quantum theory really say? closed. Apparently the OP was a bit too narrow, restricting the topic to a particular disagreement between two combatants. I thought to moderate a little between them only to find the topic closed. DARN! In any case, the fundamental ways that quantum physics has changed our understanding of the world is too important of an issue to leave participants nowhere to go with questions, opinions, and discussion. I think there are important implications in this topic in regard to the main question of creationism versus evolution. In regards to the previous discussion of Percy vs. cavediver. Percy is absolutely correct, but cavediver is a representative of a respectable minority beginning with Einstein that stubbornly refuses to accept the death of determinism in physics, and who continue to hope that futher advances in physics will overturn this conclusion. The death of determinism in physics does not however resolve the philosophical question. The postulates of Bell's inequality are clear. The failure of Bell's inequality means that either determinism or the completeness of physics world view of an objectively observable local reality must be abandoned. Everett's Many Worlds interpretation of quantum mechanics preserves mathematical determinism (a description of reality by mathematical equations) by accepting a multiplicy of non-observable realities. Mathematical descriptions are inherently deterministic but if this description includes a superpostion of states on a macroscopic level then the it cannot be the same as ordinary determinism. David Bohm sought to preserve determinism by accepting a non-observable aspect of physical reality which is non-local. But I think that the consensus of the physics community is that physics cannot abandon the presumption of an objectively observable local reality and remain physics. I agree with this, but along with Eddington I also think that it is absurd to presume that the physical description of reality in terms of mathematics is a complete description of all that is real. And so it is a matter of philosophy when I abandon both determinism and the completeness of the physical world view, acknowledging that other people have the freedom to make a different choice of postulates that lead them to different conclusions. I believe there is an aspect of reality which lacks the definite-ness that is required to make it amenable to mathematical description. Furthermore, I think that the uncertainty principle defines the limits of the mathematically definite aspect of reality which I call the physical universe. The law of conservation of energy is an example of the kind of definiteness that describes the physical universe, for it means that the universe has a definite fixed quantity of energy that never changes. However, the uncertainty principle states that this conservation of energy fails during small intervals of time according to: delta-E times delta-t is approximately Planck's constant, where delta-t is the interval of time and delta-E is the quantity energy which is not accounted for in the conservation of energy. This can be considered a point of interaction between the mathematically definite physical reality and this other non-definite aspect of reality which I have suggested. Now this above suggestion could be modified somewhat to preserve determinism even though I think the non-definiteness of this other aspect of reality precludes this, for certainly this idea is meant to suggest that some of the uncaused events in the physical description of reality (of which Percy gives a list of examples), has a cause in this other aspect of reality. However I believe that the fundamental experience of being human suggests that a determinsim based on the scientific idea of causality cannot be supported. Aristotle suggested a much broader idea of causality in four different types: effective causality, material causality, formal causality, and final causality. I do not advocate all of these but rather look to this example of how causality might not be restricted to the material efficient causality which has been adopted by physics. Relating scientific causality to Aristotle's material and efficient causes may require explanation. Certainly science presumes that cause precedes effect as in Aristotles efficient causality, but the reductionist approch of physics to explain by composition and the ultimate adherence to locality also suggests to me a great similarity to Aristotle's material cause. One of the things which suggested reaching beyond the scientific ideas of causality to me was the suggestion by David Bohm and others of this nonlocal aspect of reality, which seemed to me to have some parallel's with Aristotle's idea of formal causality. What I am suggesting comes from the idea that when people make choices, considering various reasons for all the different choices they could make, they ultimately choose the reasons for their choice when they make their choice. If the reasons for a choice can be called the cause then here is a case where the cause rather than preceding the effect, originates in the same event. Since the reasons for the choice are in fact part of the choice that is made, it suggests to me that the cause is a part of the effect. This is why I suggest an idea of causality which I call "self-causality". Another reason for this term is the simultaneous human experience that we have a self that is the cause of our actions and that our actions define this self. Something else which suggests that in going beyond the physical universe in search for causality, we must abandon the usual scientific idea of causality is the trend of modern physics to see time, as part of the structure of the physical universe and the idea that the Big Bang was the origin of both time and space as well as all the matter in it. Time is a part of the mathematical relationships which tie all parts of the physical universe together into a definite whole. This suggests that in looking outside this structure in a non-definite aspect of reality, we may be looking outside of the time and space, which is a part of this structure, as well. But if this is the case then the scientific idea of cause always preceding effects loses some of its clarity. Comments and questions about my ideas are welcome but I would prefer, if it is ok, to keep this discussion open to anyone's ideas about the implications of quantum physics. Edited by Admin, : Change a referenced thread title into a link. I had wanted to respond in more depth, but will have to be brief this morning. Thanks nonetheless to admin for promoting this. I am not sure the determinism issue is as big or necessary a debate at this stage as some have made it out to be, and think in some ways the uncertainty principle is eclipsed by the principle of entanglement, but good job bringing out these issues in the OP. One of the bigger issues, imo, is causality. I believe QM experiments clearly and undeniably demonstrate non-Einsteinian causality despite the heroic efforts of some to find a way to say they do not. Keep in mind these experiments are not mathemetical constructs. Well let me explain the connection to the evolution versus creationism question. If determinism in physics holds then the scientific and religious pov are forever divided because there would be no room for non-physical causes (causes which are not objectively observable or measurable) in physical events. God could not then intervene in physical events without contravening the laws of physics, and every such action by Him must be ojectively observable and measurable. The lack of evidence for such intervention would then carry quite a bit of weight, and the claim by many that the objectively observable and the mathematical relationships between them are the sum total of reality, would also have much more merit. However, with the failure of determinism in physics, this is not the case, and we free to make up our own minds about the nature of reality and role of God in physical events. With the failure of determinism in physics, the scientific description of evolution becomes only appearance with a possible underlying reality. Each physical event of the process is now open to the possibility of non-physical causation. This opens up the possibility of an itermediate pov which accepts both scientific description of evolution and an underlying reality of God creative participation. I'd love to jump in here, Mitchell, but I'm slowly sinking below a workload (moving house, moving business, running business) that is keeping me on an 18 hour day, 7 day week at the moment... hence my current lack of activity on this site. I'm not ignoring you and may well get back to this in the next few days. 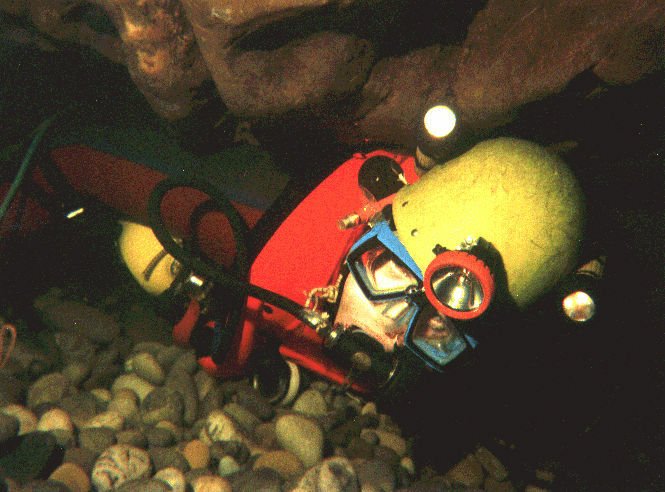 cavediver is a representative of a respectable minority beginning with Einstein that stubbornly refuses to accept the death of determinism in physics, and who continue to hope that futher advances in physics will overturn this conclusion. No, I'm not in that camp at all :) And as big a problem to Einstein was the non-locality implied by EPR, as this seemed to speak directly against the Minkowksian causality of relativity. I laughed out loud for five minutes after reading this. You provide an eloquent example of my maxim that not only are people free to believe anything they choose but that you will eventually find people that believe just about anything. I take this to mean that you do not believe in a division between a microscopic world of superpositions and a macroscopic world without superpositions, which I think is mathematically the same as Everett's Many Worlds Interpretation. I should also stress that when I refer to decoherence, I'm refering to the strong version encompassed by "decoherent histories". Thanks for the hint. I will research a little to prepare. That sounds like a wonderful opportunity. What school was that at, Imperial College London? My projects were not anywhere near as interesting at the Unversity of Utah. I was also working in the fields of Quantum Gravity and QFT but more on the fringe. One project had to do with the the Barbour-Bertotti model and the other was Lattice Simulations of the Nambu-Jona-Lasinio Model. In the second project that meant learning to write programs for big multiprocessor machines, which was cool I guess. I guess there are different aspects of determinism at issue here. I was thinking of the issue of asserting that randomness is real, and that imo, I think this is a presumption to claim that based on the Uncertaintly principle as it seems to be somewhat eclipsed by entanglement or non-locality. So the whole determinism thing is, imo, incredibly flawed as a starting point of discussion, and just plain wrong, but that doesn't mean that randomness is correct either, imo. Each physical event of the process is now open to the possibility of non-physical causation. I hear what you are saying. I would say it this way though. What consitutes physical has changed, or perhaps we should say that nothing is inherently physical, but what we considered physical in the past was just a by-product of the wave-function and so a secondary and derived quality that may or may not exist while the thing itself continues to exist according to the energy design known as a wave-function. In other words, QM already definitely demonstrates non-physical qualities and causation defining and acting on the physical world, and indeed all causation begins as non-physical. We also see the non-physical with the human will. The human will acts upon the body and the world and so we see the non-material affecting the material in everyday experience. This opens up the possibility of an itermediate pov which accepts both scientific description of evolution and an underlying reality of God creative participation. Your last line suggests you think perhaps QM and physics in general is in the process of weaking the concept of linear causality, and by linear I just mean the cause preceding the effect in time. That's where I think things are heading, and that we need to go ahead and drop the hoary myth of a static time-line. The cause precedes the effect but the perspective of time as linear is wrong. Time is a measurement of change, and imo, some changes happen from the present affecting the past, and it could well be some changes affect things as a whole. As someone here suggested, we should see the earth as a streak in space-time rather than a ball passing through time. I wonder if there are not events that can vibrate and affect the whole streak. My suspicions are that alternate histories are probably real, but not comfortable with the idea that all alternative histories are always present and real beyond mere potentials, but then again, if that were the case, then the many-worlds interpretation may not be needed. The Many-Minds seems a little more on target to me as a layman. Maybe this thread can illuminate the idea a little more? That is exactly correct. Quantum physics is the loop hole. On the contrary, quantum physics tells us that randomness is most definitely real. It is the attempt to dismiss this which is presumptive. A non-local aspect of reality is not acceptable within the framework of physics. It violates the Minkowsky structure of space-time, therefore any non-local aspect of reality is also non-physical. Causality for some events in quantum mechanics without physical cause can possibly be found in a non-physical non-local aspect of reality, but deterministic nonrandom causation for all such events is unreasonable. The vast majority of these events have no significance and no impact on anything. There is simply no reason to make a flat denial of the reality of randomness. Part of the problem, from my perspective, is the erroneous classification of things as supernatural. Supernatural from a scientific perspective does not exist. So if God exists, He is material, natural, whatever....same with angels, spirits, or anything. Just as we can act within the universe and possess a will, and yet are not outside the scope of science; so God too can and does act. Yes this word "supernatural" perpetrates a fraud, but I don't think you have quite explained what that fraud is yet. The word "supernatural" confuses what cannot be explained by science with what violates science. So your phrase "scope of science" is a bad choice of words. You must distinguish between what is the proper study of science and what is in violation of science. Not everything in the world is objectively observable or measurable. This is by definition the very limits of the subject matter of physics and science. Science cannot say that such things do not exist. It cannot say anything about them at all. Otherwise you are buying into a fraud perpetrated by atheists, who are trying to get you to adopt a philosophy that the only things which exist are those which are objectively observable or measurable. Definitions of science need to be based on intrinsinc qualities, not relative ones, and so just because we technologically cannot observe or test for something at present, does not mean we could never do so. Absolutely not. No scientist will let you destroy science in this manner. Science must be based on what it always has been (that which is objectively observable or measurable only), because that is what works. It is philosophy which must change NOT SCIENCE!!!! It is the philosophy that science is a complete descripiton of reality which must be abandoned. In the words of the famous physicist, Eddington, this philophy is absurd. I truly believe that this property of being objectively observable or measurable is the defining difference between what is physical and what is spiritual. Let me explain. Energy is the substance of being. Everything which exists is a form of energy. But everything which is physical is really part of one enormous unified form of energy which we call the physical universe. Every bit of this energy is governed by deterministic mathematical laws which are defined by its complex geometrical shape or form in 10 dimension. Things of the spirit are also forms of energy but they are not a part of the huge mathematical structure or form that we call the physical universe. They interact with the physical universe from outside these mathematical relationships of time and space, so where you find this interaction is where the mathematical relationships end or fail - quantum physics - the true boundary of the physical world. Your utter dislike for your obnoxious neighbor is irrelevent because you and he are just small parts of the same object, and the mathematical structure of this object which your are a part puts you in your neighbors space-time proximity whether you like or not. So you are going to have to learn how to put up with him, and who knows, maybe as you grow in spirit you will even learn to like him despite his shortcommings. Science is like your obnoxious neighbor because it represents everything about this world that everyone has to accept whether they like it or not (metaphorically speaking). Science only studies this structure of energy which we are all a part of. But God is not a part of this structure of energy and there is nothing to force you to acknowledge His presence against your will. God and other things of the spirit are not objectively observable or measurable. And this is why God and all other things of the spirit can never have any part of science. It is the same thing that makes the spirit not be bound by these mathematical or deterministic laws and therfore not subject to death or corruption. Your last line (in the OP) suggests you think perhaps QM and physics in general is in the process of weaking the concept of linear causality, and by linear I just mean the cause preceding the effect in time. That's where I think things are heading, and that we need to go ahead and drop the hoary myth of a static time-line. Absolutely not!!! I was very clear about this. It is a matter of philosophy NOT SCIENCE. To abandon the causality of science is to leave the realm of science and enter into philosophy. Do not forget that I am a scientist. I will defend science and its integrity with the same ferocity that I defend Christianity. It is critically important to know where the boundary lies. Creationism/ID, for example, crosses this boundary. Do not be fooled into thinking that General relativity changes this. Space-time is still locally Minkowsky and although it does not use a line the two sided cone seperates past and future and preserves locally time-ordered causaltiy absolutely and irrevocably. The Everett MWI may be useful in physics like the complex extention of a mathematical function into the imaginary plane, but I too, do not think there is any scientific or philosophical value in seeing these other worlds as anything but unrealized possibilities. Alternative histories and parallel worlds like ftl space ships and time travel are all great science fiction (no different that pure fantasy as I see it), but again, I see no scientific, philosophical or religious merit in any of them. A non-local aspect of reality is not acceptable within the framework of physics. It violates the Minkowsky structure of space-time, therefore any non-local aspect of reality is also non-physical. Or another way to say this is reality is not only physical, right? Causality for some events in quantum mechanics without physical cause can possibly be found in a non-physical non-local aspect of reality, but deterministic nonrandom causation for all such events is unreasonable. I think we are on the same page, but not exactly sure....Determinism as you use it, and I think of it can be a little different, and perhaps I am not hearing the physics term of the word. Maybe random here is a relative term? I definitely agree that physical causation alone cannot explain reality, and that reality supercedes the subluminal universe we think of as physical reality. Yes this word "supernatural" perpetrates a fraud, but I don't think you have quite explained what that fraud is yet. I don't follow this. How can the term supernatural apply to anything as far as science. Nothing is supernatural according to a valid perspective of science. Science must be based on what it always has been (that which is objectively observable or measurable only), because that is what works. I think there is some confusion here. Working science must be based on what is observable or measurable, but that is relative to what can be measured today by our technology. So just because something cannot be measured today does not mean it is outside of the purview of science forever. So people that say positing that God or some spiritual force could be involved is a violation of science because it defies the definition of science are wrong. It may be it is outside the potential of present science, and so is theoritical, such as with string theory, but it is not outside the scope of science. Science just hasn't grown enough technologically to assess the matter fully. It is philosophy which must change NOT SCIENCE!!!! It is the philosophy that science is a complete descripiton of reality which must be abandoned. Well, of course that philosophy is absurd. Science is limited to technology, but I am talking about what science can even, by definition, theoritically assess. To say that science cannot assess something because it is supernatural is a fraud. If it can be detected or experienced by humans, then the potential is there for science one day to assess it, but that is not the same as arguing that if science cannot assess it, that it is wrong. Science is very limited always as a practical manner, but saying science cannot even address something theoritically is wrong, imo. A few points and forgive the argumentative posting style here....some other threads probably affecting my posting here. 1. Spiritual things by all account possess energy which interacts with the physical world. (note I see you covered this later, but the interaction still suggests principles and order and so potentially mathematical descriptions). 2. I tend to think of the spiritual arena, or part of it, as most likely some of the 10 dimensions you mentioned. 3. I disagree that everything is controlled by deterministic mathematical forumulas. Is the human will truly controlled by such formulas? 4. If we are talking laws so that the structure of physical reality is controlled by deterministic mathematical formulas, there are laws for the spiritual arena as well, and not only just as strict, but if you accept the Bible and even other spiritual traditions, even more strict, and so it may well be those laws, like physical "laws" can be expressed as mathematical forumulas as well, if we can advance that far in math. 5. You mention QM as the true boundary of the physical world, and thus presumably where it intersects with the spiritual world, and I agree. But terms like physical and spiritual are just different descriptions of subsets of reality. 6. QM describes an ordered world nonetheless. So I am not so sure the following is correct. Things of the spirit are also forms of energy but they are not a part of the huge mathematical structure or form that we call the physical universe. They interact with the physical universe from outside these mathematical relationships of time and space, so where you find this interaction is where the mathematical relationships end or fail - quantum physics - the true boundary of the physical world. I guess what I am saying is we agree on a lot, but I think it's premature to say we cannot discover a mathematical description of the spiritual arena. Are you sure? Paul states "In Him we live and move and have our being," and he wasn't talking to Christians when he said that, but referred to Greek philosophy, and so posited an immanent aspect to God's being. There are other spiritual traditions that emphasize this immanent aspect, some overemphasize it probably. God and other things of the spirit are not objectively observable or measurable. How can you be sure? I can accept there are aspects of God that are off-limits, but you said yourself we see in QM the intersection of the spiritual with the physical. If we see the effects (the intersection) then we are in a sense measuring something spiritual, right? We have accepted gravity for a long time but not measured it directly or hadn't done so for a long time if we even have now. So I wouldn't say we cannot measure or detect spiritual things, and think we actually are measuring and detecting spiritual realms within QM. It is the same thing that makes the spirit not be bound by these mathematical or deterministic laws and therfore not subject to death or corruption. But the spirit is bound by laws, just different laws than those that govern matter. Absolutely not!!! I was very clear about this. It is a matter of philosophy NOT SCIENCE. Well, how do you explain that a later measurement of a photon's path affects the photon's path before the measurement as shown in the delayed-choice experiments? I am not talking philosophy, but real science. I also find it curious that though you consider the effects seen in QM as the result of the boundary or intersection with the spiritual realm, that you do not see those effects as indications or detection of the spiritual realm. The Everett MWI may be useful in physics like the complex extention of a mathematical function into the imaginary plane, but I too, do not think there is any scientific or philosophical value in seeing these other worlds as anything but unrealized possibilities. Well, I wouldn't go that far. I think reality can have a spatial aspect within the timeline so that what we think of as a strict causal, single time-line is really a mix of closely related, interdependent timelines. I think as science advances, we will come to acknowledge the past is not static, and the present can have a causal effect on the past, but these effects are much smaller in nature that the present leading to the next moment (if you want to describe it that way). Nevertheless, over time, these changes add up and with more time, the greater effects; the idea that the past remains the same being incorrect. Albert Einstein, with his students Nathan Rosen and Boris Podolsky, were the first to point out thats the mathematics of quantum mechanics entails apparent these apparent non-local connections. They used them to argue that the quantum theory must be incomplete. In an article known as the EPR paper4, published in 1935, they pointed out that by making a measurement of the momentum of one particle, it is possible to accurately guage the momentum of another with which it has previously interacted. This implies at least one of two things: Either the quantum theory is incomplete, and incorrect in its assertion that the second particle does not have a definite momentum before it is measured; or else the measurement of the first particle somehow determines the state of the other, however far away it is. Einstein called this ‘spooky action at a distance’ - spooky because there is no known mechanism for such an interaction, and because it would entail that things can be affected by events which, in some frame of reference, haven't happened yet. The paper concluded that a particle must have a definite state whether we look at it or not. If measuring a particle causes the collapse into a definite state, then the entangled particle exists either in an undetermined state before the measurement, or is affected by the collapse instantly so that we see "spooky action at a distance" in a manner violating causality, right? So particles either exist in an intrinsincly undefined state and take on form only upon some observation event, or the potential to be observed perhaps (some delayed-choice experiments suggest that), or they do exist in a physical state with some sort of non-local connection between the 2. Either way, causality is violated, correct? And yet, despite the mountain of evidence demonstrating such violations of causality, it seems the scientific community is loathe to depart from the concept. My first question is why? My 2nd question is if the human will by deciding to measure one way, has a determinative effect by the mere question it asks, then is the human will and consciousness not part of physical reality? In other words, a particle takes on form only when it is possible theoritically to determine what form it took, right? Some have posited an information exhange, the It from Bit line of reasoning. But without someone existing for that information to potentially be recognized by an observer, then matter doesn't exist in a form it seems? If that's the case, then one cannot claim there are only physical causes at work in observed physical processes, unless human awareness and consciousness are considered physical, and even then, it's not strictly deterministic unless the human will is deterministic, right? Believe it or not, that's all suppossed to be subsets of the 2nd question. It appears QM demonstrates a deeper realm interacting within the subluminal or luminal universe we call physical reality, and we see that such interactions do not obey causality as we think of it, and indeed it appears that a later action can affect a prior state and history, or determine a definite history out of a multitude of potential histories, and so the past is affected by the present. I think it's not "either/or" the way you describe it. Quantum mechanics has it that the entangled particles exist in an undetermined state AND collapse into a definite state upon observation of one of them. If quantum mechanics is right, it's undetermined states AND spooky action. It's the 'undetermined' part that's causing the confusion for most people. If someone tells you they had two marbles, one black and one white, and then tells you they've shot one into space and shows you the remaining one, which is black, then you logically deduce that the marble in space is white. You have no reason to assume that before you observed the black marble, the colour of either marble was 'undetermined'. The one in space was white all the time. A pair of entangled particles is like the pair of marbles in that the measured quality must have opposite values in each of them. But unlike the colour of the marbles, the qualities quantum mechanics deals with are believed to be intrinsically undetermined until they are measured. This means that a measurement of one of them somehow affects the state of the other, not just by logical extension, but in a physical way. And it doesn't matter how far away it is. Hence "spooky action at a distance". I realize I don't need to tell you this, Randman, you know all this. But it was the confusing way you described it that prompted me to write this. despite the mountain of evidence demonstrating such violations of causality, it seems the scientific community is loathe to depart from the concept. My first question is why? I don't understand your question. If there is a lot of evidence for a concept, why would it be strange that science does not want to abandon it? Does either of us misunderstand the meaning of the word 'loathe'? With regard to you second question, I think it all comes down to what we mean by 'observe'. I think the term should be applied very loosely, in that a collision between two particles can be called an 'observation' in a quantum-mechanical sense, without the involvement of humans - or any other conscious beings for that matter. What do you mean by "subluminal"? If you mean 'subliminal', then I still don't understand what you are getting at. Could you please explain? Hope you don't mind me contributing to this fascinating discussion. I've only been a day on this forum and already managed to inadvertently p*ss off one person, and I don't want to make a habit of it - yet. My take is diametrically opposed to this. It is easier for an omniscient, all-powerful god to intervene in a completely deterministic universe than in a non-deterministic one. Let me take weather forecasting as an analogy. Simplistically, our ability to forecast the weather is limited by our (a) incomplete and (b) imprecise knowledge of the current state. While (a) may one day be perfectly overcome since there are only a finite number of particles in the atmosphere, (b) will never be overcome completely since in a finite universe one can't calculate anything to infinite precision, so the "butterfly effect" eventually takes over. But these objections are as nothing to an entity with INFINITE capabilities. It is completely possible for such a being to set up the initial state of all the particles in the Big Bang (or whatever) so that in a strict deterministic fashion, all the water molecules in an certain sea on a certain planet "just happen" to move in the same direction at the exact time a group of slaves fleeing Egypt happen to be in the vicinity. We would see it as a Divine intervention in our "now", but it would be presumttuous to equate our "now" with that of an omniscient God. In fact, it is quantum indeterminancy in a local universe that places limits on God's powers. For either the indeterminancy extends to Him, in which case He cannot be omniscient, or one has to come up with a scheme where variables hidden to us but not to God do not violate Bell's theorem. I might even go so far as to say that strict physical determinism is a necessary condition for the existence of an omniscient God.